March » 2015 » Harrumph! I’m with Uncle Joe Biden on one of the craziest, dumbest Republicans. The Veep ridiculed Ben Carson’s inane gay bashing, noting the widespread disdain for the lunacy. Carson has proclaimed he intends to win the GOP nomination for POTUS next year. More to the point, he is yet another proof that expertise in one area (he is a physician) means nothing beyond that. He went on and on about homosexuality being a total choice with his alleged evidence being that straight men are raped in prison, hence choosing to change. And that is exactly it. Unlike Carson’s perverted fantasy, such advancement is observable, palpable proof that we can and do improve as a species. I recall the moment I first became keenly aware and thus hopeful of such growth. It was in the Yankee in Beaufort, South Carolina in the mid-1970s. It was a dive, a beer and burger joint, but very Low Country. Three middle-aged guys I didn’t know by name were about 10 feet away at the angle of the bar at lunchtime. One of them fell down the at-home well and ranted briefly about black folk, using the N word twice. I wasn’t ready for the immediate response of his two buddies. They told him quickly and firmly that was not cool and they didn’t want to hear it. They guy was chastened and behaved himself afterward. I am pretty sure that he ws likely to behave himself with them and maybe others going forward. That is both evidence that we can advance as a species and the method to advance that process. Do not let the crazies and the bigots slide. You don’t have to be pious and obnoxious about it. You do have to be quick and sure. Tell the bigot what’s wrong and look directly at him. It works the miracle of conversion to humanness. Of course, the other thing is not to pretend it doesn’t happen in Yankeeland or the Wet Coast. Bigots and buffoons don’t respect geography. It’s not a stretch to say I was raised by Spock, or at least a Spock. As so many of us note the passing and mourn the death of Leonard Nimoy, I felt particular twinges remembering my mother, Wanda. 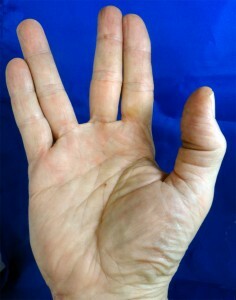 We see that Science Officer Spock’s live-long-and-prosper hand is ubiquitous lately. That’s as it should, or rather that is logical. When the Star Trek original series started, I immediately recognized Spock as Wanda. That as not at all bad, merely entertaining and even assuring. Wanda was unlike other mothers, other fathers, and other parental pairs. Like Spock, she was a cooly logical as a Vulcan, yet with a very human half. For one specific, when she was raising my sister and me by herself, she did not betray reason with the extreme stupidity of, “Because I said so.” Wanda has reasons for every decision, every pronouncement, every argument. A nd for arguments…my friends were astonished to hear her policy. If my sister or I could provide better reasons to do something than what she proposed, we prevailed. If not, she held sway. Not only did that make us feel invested in decisions, but it also inspired (me particularly) us to analyze what was going on or proposed, to pay attention, and to present our own positions. Yes, Wanda was a single parent, an awkward status for the boomer generation just coming to terms with the flood of post-WWII marriages and almost as large flood of divorces. The term broken home was muttered like a diagnosis of leprosy. My sister and I found much humor in the expressions of pity as we moved every few years while Wanda slowly advanced to support us, getting to see and know many families of friends and relatives. We had no doubt we were far better off than kids raised in homes with one or both married parents were drunks, where the children were regularly beaten, where mom, dad or both yelled at each other and the kids, and where the parental units were, well, illogical. Wanda was an omnivorous reader. We had several thousand books, including multiple sets of encyclopedia and other reference texts. Wanda knew tremendous amounts on many subjects. That was a precursor to Wikipedia when I was very young. I’d ask a why, what or how question and she almost invariably knew. When we didn’t, she’d hit the books and tell me. Tuen when I was in elementary school, she’d say, “Look it up.” We had to references. I did look it up. It drove me to read random volumes of our various encyclopedia, random pages of our unabridged dictionary, random entries in the world almanac and book of facts or pages in one of several atlases. “Look it up” served me well throughout school and beyond. I still do. Wanda did not stay Spock to her death. Yet, she was while I was growing up. Toward the end, cancer, chemo, hormonal changes, financial reverses and love disaster all changed her. Most of her massive pressures came in a short period and I can’t think less of her for changing. 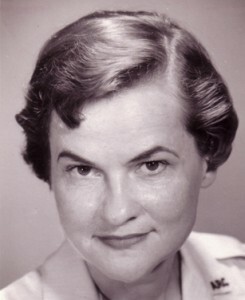 On the other hand, for all those years, she was my Vulcan mentor. When other kids lived under the arbitrary and emotional rule of a Kirk-like parent(s), I had the better of it. You are currently browsing the Harrumph! blog archives for March, 2015.